This platinum crystal nugget is from Siberia. It has a main cube crystal with other tiny crystals coming off of the main crystal. 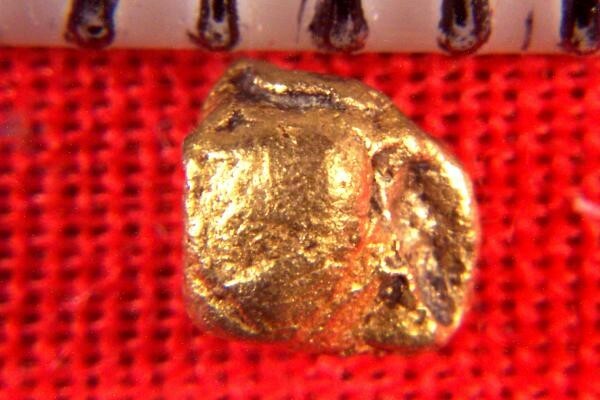 It also has a beautiful natural coating of gold attached to the surface of the platinum nugget. 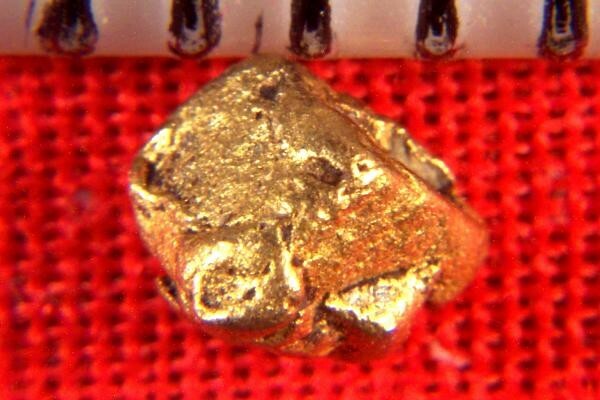 Gold coated platinum crystals are so rare that you almost never see them for sale. If you see one it is usually priced much higher than these. These gold coated platinum crystals are only found in Kondyer Massif, Khabarovskiy Kray, in Russia, and they are highly prized by collectors and investors because of their uniqueness and rarity. 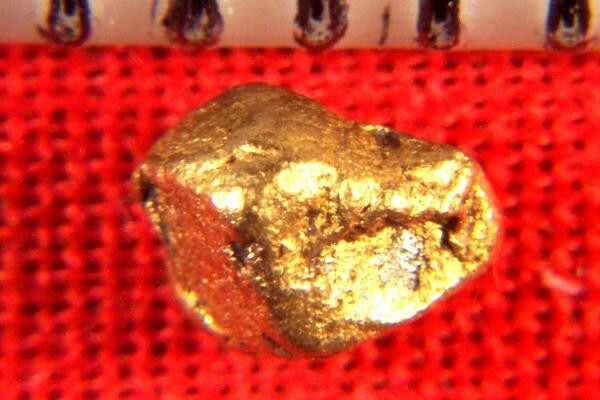 This nugget weighs 6.2 Grains (0.40 Gram)(2.0 Carats) and it is over 1/8" long (4 mm) It comes with a location card authenticating the discovery location and certifying the fact that it is a natural platinum crystal nugget.